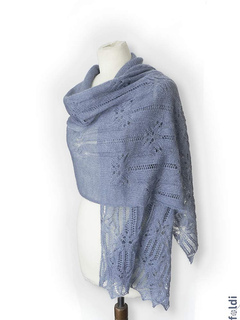 This scarf - or stole the more - is patterned beautiful butterflies and lace ladders. 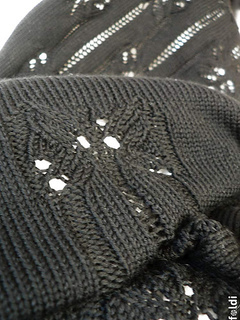 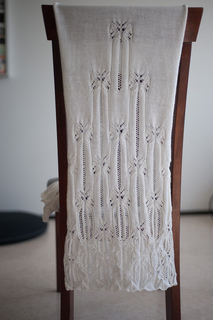 This is a fairly simple lace pattern so even a beginner knitter can follow the chart easily. 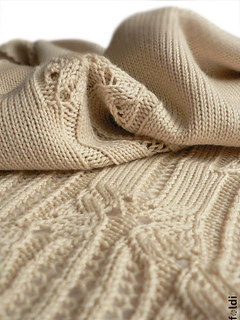 The scarf can be knitted from almost any yarn weight: from lace through sport to aran weight. 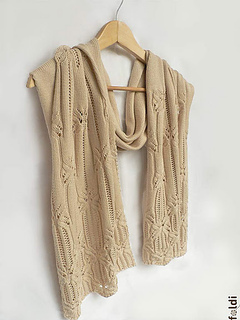 All you have to mind to choose your needle size careful - this is a moderately big scarf - so the work could consume a good deal amount of yarn. 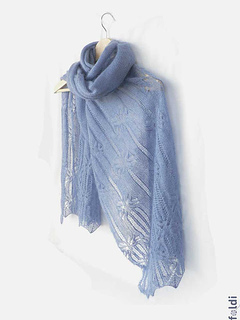 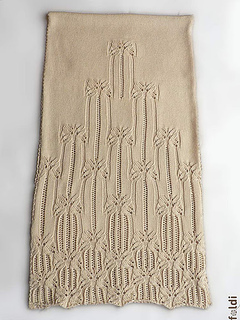 You can make a perfect accessory for cool summer evenings or formal meetings from lace, but the pattern could turn out as a warm winter scarf embellished cable-like butterflies.